The new Local Government Ordinance, since its promulgation and passage in the Sindh Assembly, has become a source of nuisance. 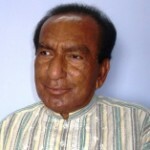 On one hand, nationalist and other parties strongly oppose it, terming it a conspiracy towards the division of Sindh, while on the other hand, PPP ministers and members exert their energies to a great extent to prove it beneficial for Sindh — with whatever knowledge they possess about the new system. 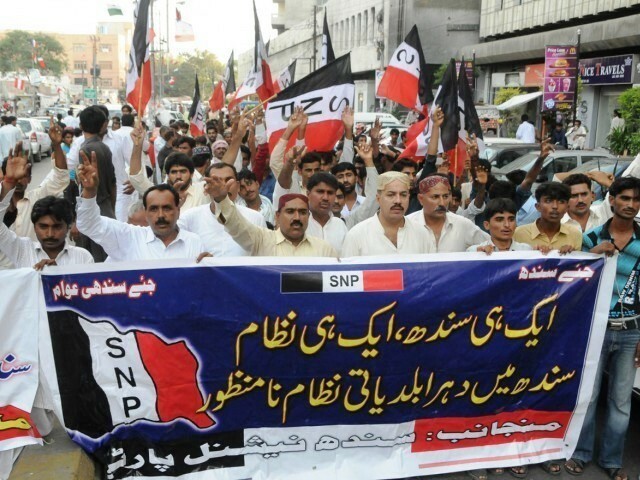 Though people throughout Sindh are agitated against the controversial new system and violent protests claimed a life in Shaheed Benazirabad, a bigger tragedy took place in Khairpur, where six persons were gunned down and 10 others injured in a public gathering organised in favour of the new local government system. Loss of property can be compensated, but loss of human life is never recompensed, no matter how much money is paid to the victim’s family. It has been observed that the PPP always takes decisions in a hurry and then tries to justify it with further wrongdoings. The case of passing the new local government system is similar, which was promulgated at midnight and passed in the assembly within a half hour, ignoring protests of members from the PML-F, PML-Q, NPP and the ANP in the assembly and millions of people outside the assembly. Nationalists claim that they are the sons of the soil who love their motherland and can make sacrifices for it, while PPP leaders also express their love for Sindh as do MQM leaders. Given this, who is to be blamed for working against the interests of Sindh? One can easily understand why the nationalists are protesting against the controversial ordinance. It is because they are out of the power corridors and feel deprived of the opportunity to debate on the issue. But it is not understood what makes the PPP stage rallies in favour of the ordinance, consequently putting the peace of the province at stake. Had the PPP done anything for the welfare of the people, it wouldn’t have needed to use government machinery to organise rallies. The PPP leadership should refrain from such activities because any wrong move could trigger a civil war in the province for which the PPP alone will be responsible. Read more by Sarfaraz here. A reporter based in Sukkur who works at The Express Tribune. Are sit-ins and protests the only way to be heard? The flood victims didn't choose to beg, you made them! Brother, the media is not shouting probably because local govt. ordinance is actually way forward for improving lives of ppl in Sind. The Nationalist and other ppl want to make issue, if they were sincere they should have worked with PPP to improve the ordinance rather than completing revoking it. No sane person can say that local body is not good for Sind, it can be improved but not completely removed. I have heard all the complains, why is everyone who does not play any role in improving Karachi makes it an issue. The mayor of cities of SInd would have same powers as Mayor of karachi, if they like they can make more cities Metropolitan, but these feudel politicians dont want to give up the power.